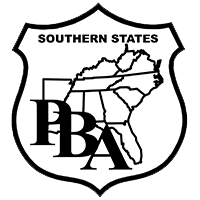 Southern States PBA is a professional law enforcement association with a mission to enhance the profession while seeking equity and fairness for our members. We do not support or condone illegal activity by anyone. It is with this principle in mind that we wish to educate our members on protection against self-incrimination. All law enforcement personnel should be familiar with Miranda. If you are not, please contact this office as soon as possible (1-800-233-3506). Garrity is a much less known warning because it protects the officer and not the criminal. Garrity comes from a U.S. Supreme Court decision in the case of Garrity v. New Jersey (1966) where police officers were questioned during an investigation alleging ticket fixing. The officers were ordered to respond to the investigators’ questions and were informed that refusal to respond to the questions would result in their being terminated from employment. The officers answered the questions and their answers were used against them in a criminal prosecution. The Supreme Court held "that the choice imposed on [the officers] was one between self incrimination or job forfeiture," a choice the court termed "coercion." The court basically ruled that statements which a law enforcement officer is compelled to make under threat of possible forfeiture of the officer’s job could not consequently be used against the officer in a criminal prosecution. It has been established that you cannot be questioned under Miranda and Garrity simultaneously. Law enforcement officers commonly are faced with making decisions regarding their employment under confusing circumstances. For instance: you are summoned to your superior’s office or to internal affairs, where you are suddenly told to answer questions regarding a possible complaint or allegations of misconduct, or asked if you have any knowledge of a particular incident. If the questioning is for alleged criminal conduct, then you should invoke Miranda and not respond to any questions until an attorney is present representing you. If you are questioned about a rule violation, you should answer all related questions truthfully. All law enforcement personnel are sworn to tell the truth and are held to that requirement when being instructed to answer questions relating to their conduct. To refuse to answer exposes the officer to charges of insubordination. To not answer truthfully exposes you to charges of untruthfulness. The confusion occurs when an officer is confronted with questions by an authority and is not told the circumstances or the purpose of the questions. Should that happen, the following responses would be appropriate. IMMEDIATELY establish the type of inquiry you are involved in: criminal or administrative. Simply ask, "is this an administrative inquiry, and am I under orders to respond?" Forcing the issuance of a directive to answer questions or make statements regarding any misconduct inquiry invokes the Garrity rule and prevents your response from being used against you in a criminal prosecution. Should you be told you are not suspected of any wrongdoing, then ask to be give a directive prior to answering any questions. Should you be told it is an internal investigation, you should also ask for a superior to order you to respond. Be aware of any attempt to use your response for an allegation of insubordination. Do not refuse to answer any questions in an administrative inquiry; to do so gives a basis for charges. You should courteously and calmly ask the above question to create the Garrity standing. Should the authority refuse to give you an order to answer questions, then you are not required to answer. Simply respond that you are available at any time you are needed in regard to the matter. Your use of the Garrity rule protects you and your agency. Should the investigation produce conclusive evidence of criminal actions on part of any officer, the agency could be prevented from using such evidence in a criminal prosecution if the Garrity rule is not followed. "At the direct order of __________________, understanding that I can be disciplined and/or terminated for violating a direct order, I am making this statement". Once you use this opening statement, you are invoking your Garrity rights. Generally speaking, truthful statements cannot be used against you in a criminal proceeding. This does not preclude their use in an administrative proceeding. If you are directed to make an oral statement, be sure you are ordered to make the statement. DO NOT VOLUNTEER TO SAY ANYTHING. Most statements are recorded, and you want to make sure the order is also on tape. "I have been ordered to make this statement at the direct order of ____________________, and I understand that it is a condition of my employment."